Ridgeway Brewing​ was established in 2002 by master brewer Peter Scholey and his wife Vanda. The name comes from the ancient trade route that winds its way through English countryside between small towns. It has been around for thousands of years, adapting with the changing times, The reason why we chose the name Ridgeway, apart from living on it, was that we hope to create lasting experiences, believe in the long term and love the outdoors. The Ridgeway was first used by early traders while these days it is mostly enjoyed for recreation. Ridgeway Brewing too aims to be around for many years to come. Our customers savour beers that are inspired by 'cutting edge tradition' - a match between heritage and modern tastes and technologies. We don't try to forget the past and reinvent the wheel - we take all that is good from the past and make it better suited for today's generations. Hand in hand goes our firm belief in looking after our environment and having as little impact as we possibly can. 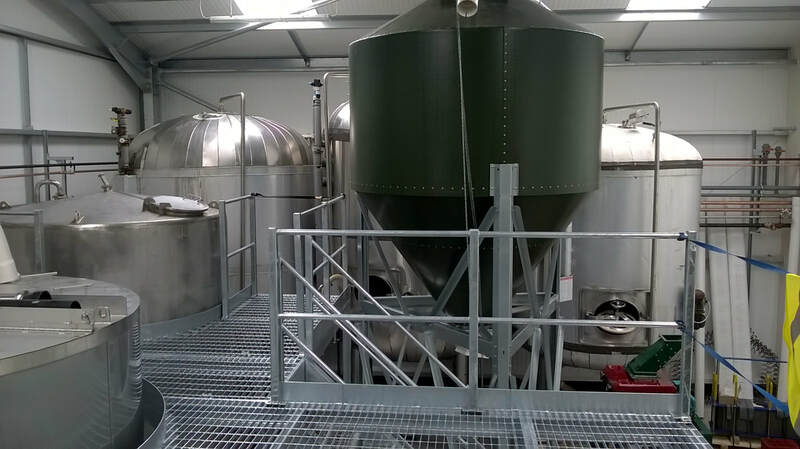 This is shown in our use of what we consider to be the first brewing cooperative in the world. We work closely with 2 other independent breweries - sharing one boiler; whereby hot water from cooling of fermenters in one brewery, is used for brewing in another. We installed solar panels so that on a sunny day the breweries are totally energy self sufficient; there is a reed bed for effluent so no water is wasted and spent grain is used for feed by a local farmer. When you drink a glass of Ridgeway you can do so safe in the knowledge that everyone involved in making your pint is working towards a better future.